Bought for my brother a very good bag. I bought this bag for my brother and it is a very nice bag. He could carry it easily and it was sturdy. I have a Brunswick two ball roller and I've put it through some abuse and have had it for years. I am sure my brother will have this bag for a long time. My brother liked the bag. I am used to Brunswick quality so I wasn't surprised at the room he had for the ball, shoes, and towel he received. My brother liked the strap. He just received the tote so I'm unsure of how durable it will be, I'm assuming he'll have this tote for a long time. 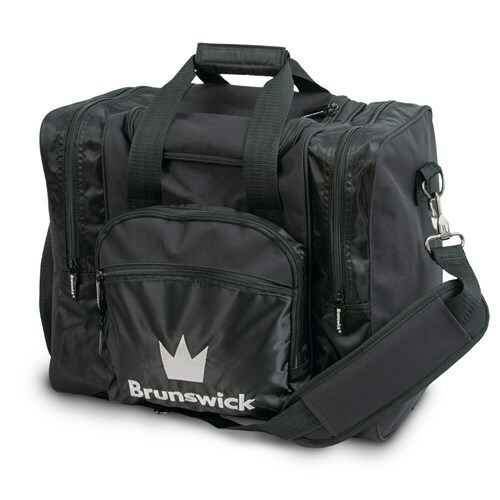 Due to the time it takes to produce the Brunswick Edge Single Tote Black ball it will ship in immediately. We cannot ship this ball outside the United States.